Even if you’re not camping out, you can make s’mores with this easy SMores Rice Krispie Treats recipe. Enjoy! Not only pots and pans but burner covers, gadgets – there’s so much fun, affordable, dependable cookware to check out. Take a look. SMores Rice Krispie Treats: can there be a better bar cookie for summer? Though not quite a sandwich like the traditional campfire treat, these bars mimic the original in layers – a base of graham cracker, followed by roasted (in this case melted) marshmallows, and topped with chocolate. It’s all pulled together in a Rice Krispie Treats variation that’s easy for kids to make. 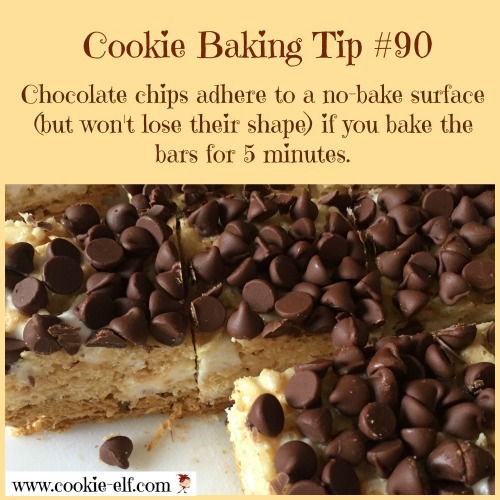 Plus, it’s quick – out of the oven in the 5 minutes it takes for chocolate chips to soften and adhere into the cookie surface. 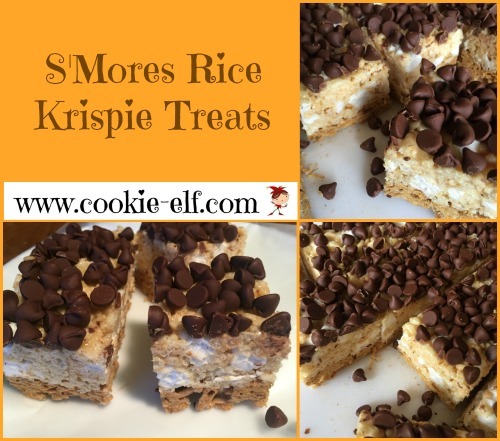 Get the full recipe for SMores Rice Krispie Treats … and check out more Rice Krispie Treats variations on our Rice Krispie Treats Pinterest Board. Check out online baking classes, freebies, cookie patterns, cookie recipes at Craftsy. Have some fun and browse! 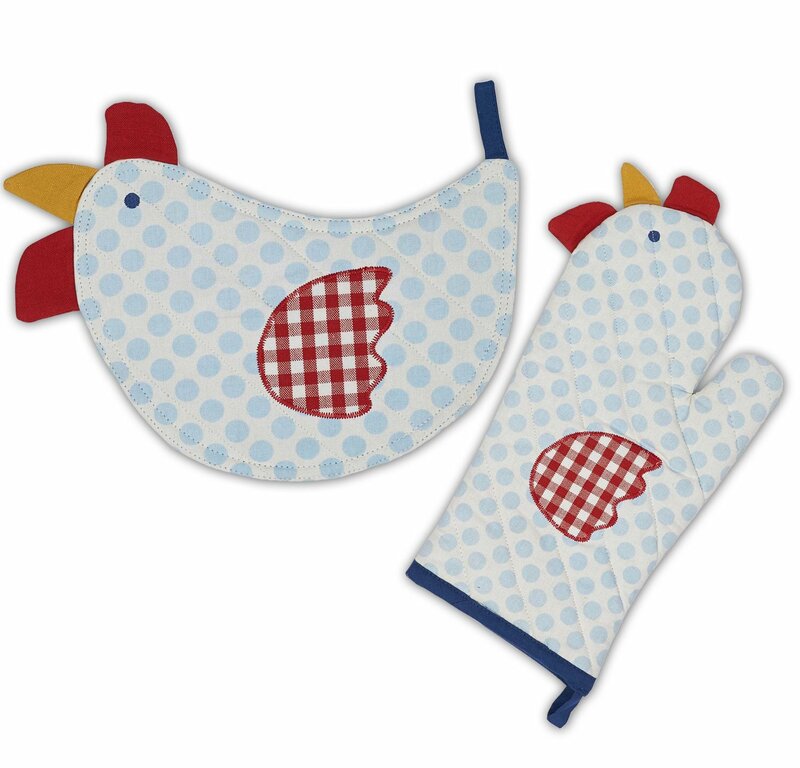 Chickens, bears, fish, lobster claws: fun oven mitts! Rocky Road Brownies: Chocolate and Marshmallows Together!